Announced Dividends with ex-date occurring on the current business date or in the future. Announced and forecast dividends with ex-date occurring on the current business date or in the future. 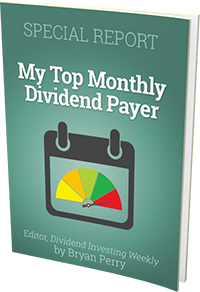 One row per dividend, typically there are several dividends forecast for any given security. Dividend forecasts are based on historical patterns and company-issued guidance. Company-issued dividend-related notifications released on the current business day including increase, decrease, commencement, suspension and omission. Special one-time dividends are included. An excerpt from the notification is provided. NMS securities including Common Stock, Preferred Stock, ETF, CEF, ETN, MLP and REIT. Included with the Announcement and Forecast feeds at no additional charge. 6 6 6 EquityType A Common, ETF, Preferred, MLP, REIT, ClosedEndFund, ETN, etc. 17 23 13 GuidanceNote A Guidance provided by issuer (if any) including "Increased", "Decreased", "Maintained", "Commenced", "ScheduleChange", "Reinstated", "Omitted"